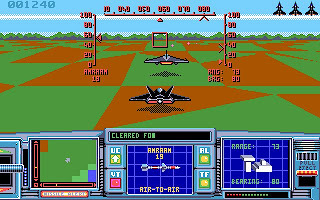 Air Strike USA was developed by Digital Integration and released by Spotlight Software in 1990. It is a fast-paced arcade style simulation game. In Air Stirke USA, we will fly the ATF (Advanced Tactical Fighter) on various missions around the world. Missions include destroying enemy submarines, radars, aircrafts, bases etc. 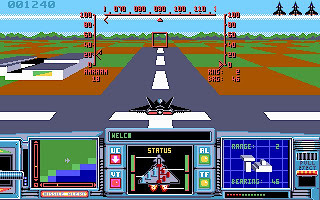 In the game, instead of viewing the cockpit, we will watch our ATF from behind with an very simplified instrument panel at the bottom of the screen. 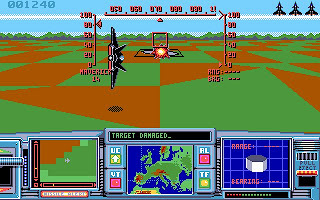 Overall, Air Strike USA is a flight simulator that don't need too much thinking to play. If you like arcade and shoot'em up, this is a game for you. 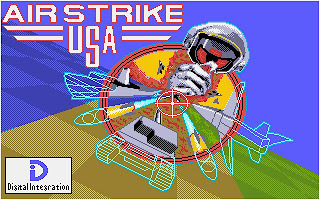 You can download Air Strike USA here.